Let the Resident Evil 5 launch parties ...err launch party begin! While our US brethren are enjoying hundreds of Resident Evil 5 launch events, courtesy of Gamestop's Outbreak '09 promotion, up here in the great white north midnight openers aren't so available. Thanks to an ad on Kijiji, NextGen Player has confirmed that at least one retailer in the Toronto area will be opening at midnight for RE5 sales. 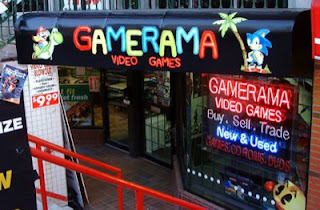 The place is called Gamerama, and it's located at 2370 Yonge Street (2 blocks north of Eglinton). If anyone out there in Canada land knows of any other midnight launches, leave a note of the name and location. Let the zombie slaying fun begin!